Two drains, fine; three drains: some undefined bad luck would target you. 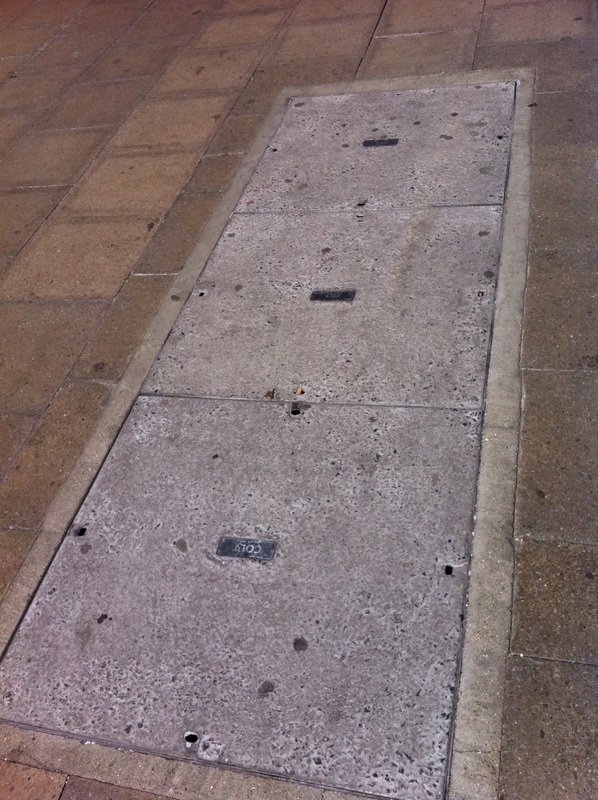 When I moved to London, aged 19, I knew I had to adapt this draconian rule that worked for the pavements of my Midlands. London streets are busy and people walk fast down them, so I could be caught out walking over three drains without even knowing it. How would I protect myself from the bad luck then? Now, please don’t think I’m crazy for a) having these rules or b) adapting them. Because it’s nothing different from what we do with our language – both words and grammar. One example: isn’t it. Innit. “I can’t write my essay today because I’ve got a match, isn’t it,” well, people would just look at you oddly. Because it doesn’t mean anything. ‘Innit’ is a functioning word in its own right: it gives a pause in speech, a rhythmic beat, and implies an invitation to reply. But it’s fine if you don’t reply, because it’s not really a question. And another rule I blatantly flount adapt for my own means: the so-called ‘rule’ of never starting a sentence with ‘and’ or ‘but’. Look how many times I’ve done it in this blog post. It upsets my boyfriend – whose teachers taught the rule very strictly – but I think it helps give impact to different points in a stream of thoughts. And it’s easier to follow. But if you don’t like lots of full stops you won’t agree with me. I like sentences that make sense and direct you in your thinking, which means I tend to use lots of full stops and semi-colons. But lots of writers are the opposite. Other writers prefer long, flowing sentences, broken up by nothing more than a series of commas, to separate small thoughts from each other, to keep each set of thoughts in one continuous sentence, a bit like what I’m trying to do with this one, if you think it has worked. My point is that all of this adaptation is OK. Not just OK, but brilliant. You need to learn all the proper rules so that newspapers, text books and official reports are universally understood – and so you can pass your exams. But when it comes to fiction – or any writing with personality – it’s the ways that these rules are bent and adapted that gives the writing colour and voice.